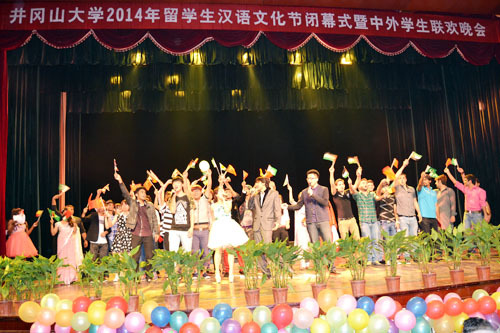 On the evening of May 12th, the closing ceremony of 2014 International Students Chinese Language Art festival & Chinese and International Students Party was held by International School. 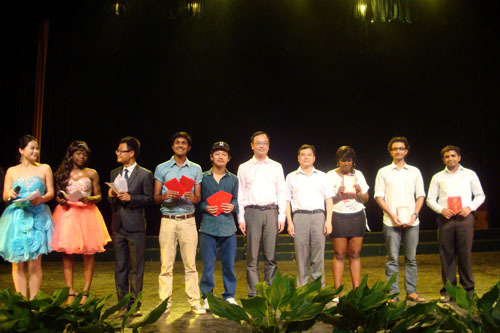 Leaders from relevant departments presented awards to winners of a series of competitions in Chinese Language Art Festival. 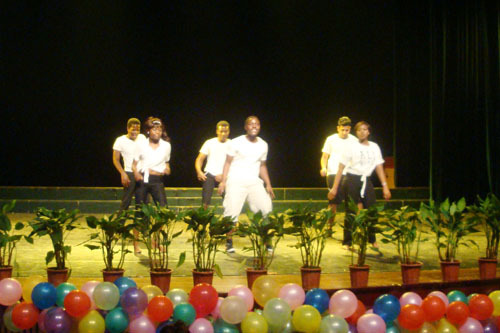 Colorful performances were presented in the closing ceremony. 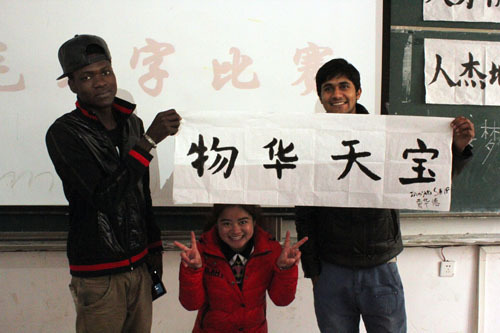 Apart from singing Chinese songs with great proficiency, international students also presented such Chinese traditional arts as Chinese paper cutting, calligraphy and playing zither. 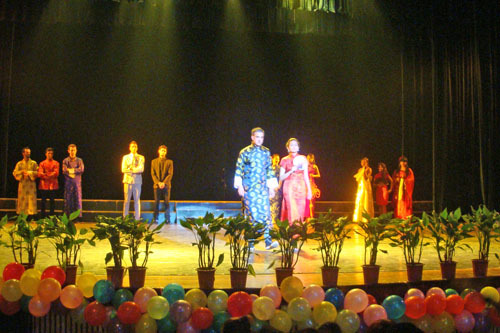 Chinese and foreign students jointly performed various activities, including wonderful Chinese songs, kung fu, folk dances from their countries and Chinese traditional costumes show. 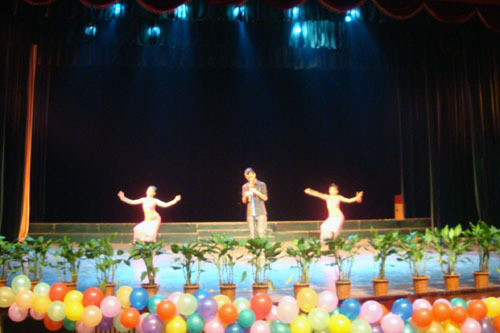 In particular, “yellow-skinned” people performed by Chinese and International students, Chinese calligraphy, "the south of rainbow" played by cucurbit flute, different countries’ folk dances, fashion show of Chinese traditional customs and other refreshing performances won round after round of applause. 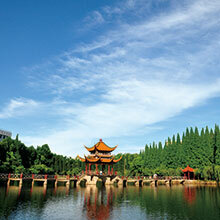 The audience is deeply enchanted by the unique charm of Chinese culture and the harmonious mix of Chinese and foreign cultures.